Creating an Energetic, Fit Lifestyle for yourself and your family shouldn't feel like so much work. I'm giving you the exact tips that I live by when it comes to an energetic, fit family life. 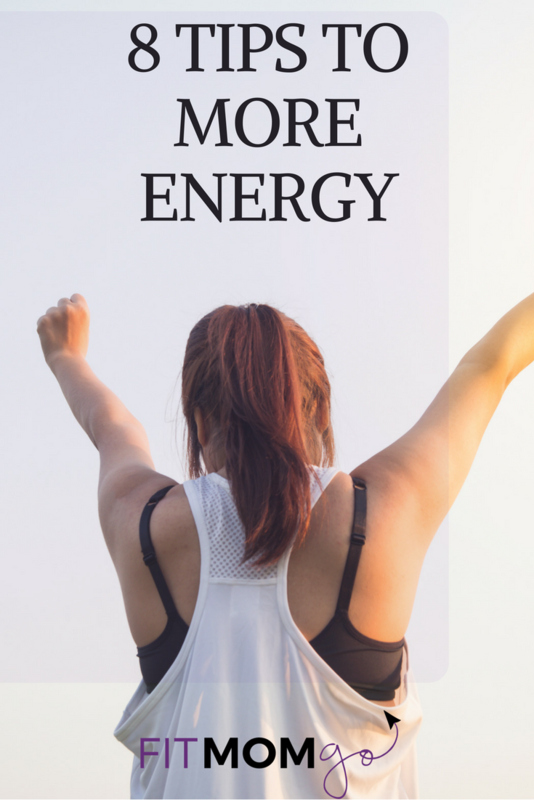 Drop me your name and email and I'll share with you my 8 Tips for a More Energetic Mom Life! When we make many small, painless changes over time BIG things happen. Who doesn't want more patience with the kids, more confidence and stamina to get through those messy snotty nosed, tantrum filled, cuteness overload days? All of my workouts on the Fit Mom Go Blog are geared to help you with your physical demands of being a Mom. While I am not going to claim perfection over here, I will promise to share with you all of the little things I practice on a regular basis to help keep me on that Fit Mom Track. I cover everything from how to not let the scale rule your life, how many veggies to eat, how to make fitness fun and so many more realistic tips. Hop on this rollercoaster of a Mom Life with your Fit Mom Go Community to learn, grow, laugh and maybe cry a little together. You can come hang out with us in our Facebook Group or YouTube Channel and we will get you well on your way to loving your Fit Mom Life.